A popular boating lake called Fairhaven Lake at Fairhaven near Lytham St. Annes in Lancashire. England. I have given this image of mine a painterly look for effect. 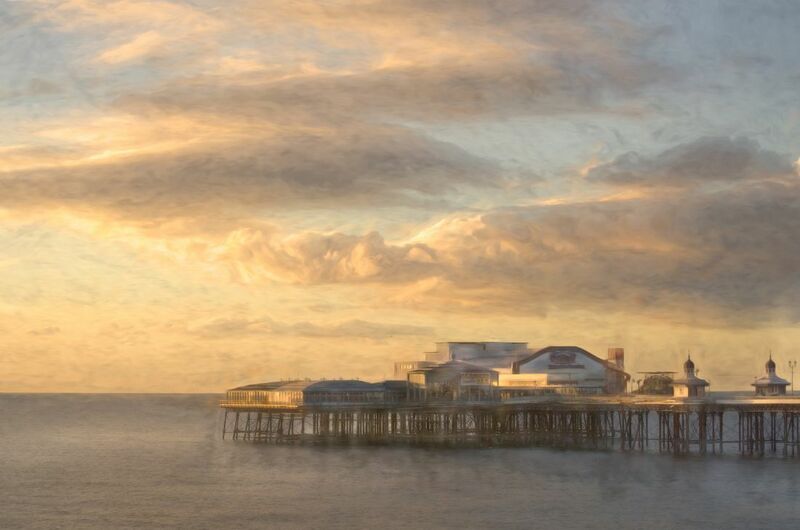 The North Pier of Blackpool, Lancashire during a beautiful sunset in October. An original photograph of mine given a painterly texture for effect.